← “BANNED FOR LIFE!” Los Angeles Clippers’ racist owner Donald Sterling told he’s not welcomed by newly empowered Commissioner Adam Silver. [LOS ANGELES] 5.14.2014. 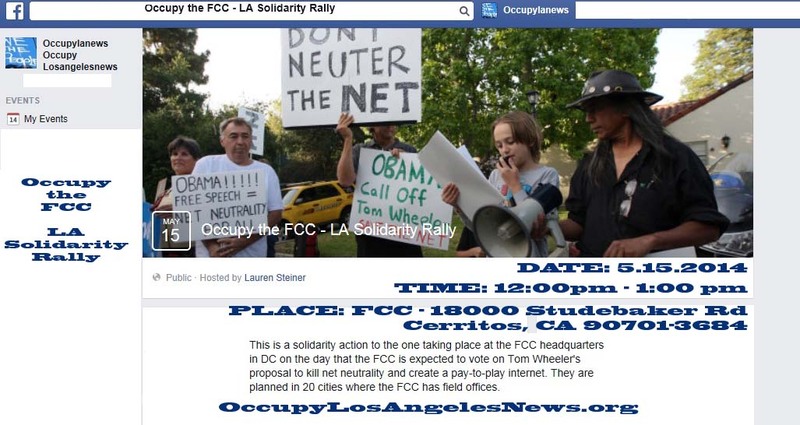 This is a solidarity action to the one taking place at the FCC headquarters in DC on the day that the FCC is expected to vote on Tom Wheeler’s proposal to kill net neutrality and create a pay-to-play internet. They are planned in 20 cities where the FCC has field offices. From Fight for the Future, one of the organizers of Occupy the FCC: “FCC Chairman Tom Wheeler is already struggling to defend his new rules proposal to allow fast lane net discrimination by his corporate allies at Comcast, Verizon and AT&T – but we need to do something big to get the other FCC commissioners on our side.